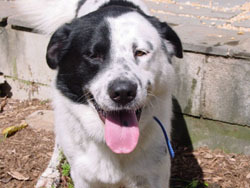 Sage is a Labrador/Cattle Dog mix, 4 years, a great dog! She was fostered with horses, dogs, cats, chickens, and toddlers. She knows how to behave in the house and out. She had spent too much time in her dog run so she learned to jump over the top in order to be with her people. 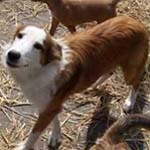 She plays well with other dogs, but is too rough for smaller breeds or puppies. 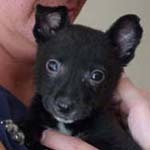 Mickey is an adorable chi/terrier mix, possibly with Jack Russell or Feist. 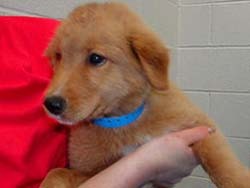 He came from a high volume shelter and is receiving loving TLC by a Save A Dog foster volunteer. He is smart and playful and loves attention. He would have to have a stay at home or work from home owner and no small kids as he's very tiny. He is very crate trained and will let you know when he has to go. He is bright and alert and is going to make the right person very happy. 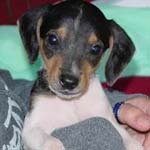 Trooper is the last puppy left in a litter of beagle mix puppies. 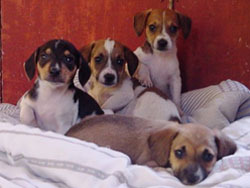 Their mother was a small beagle and their dad 1/2 beagle and 1/2 jack russell terrier, so they are 3/4 beagle and 1/4 JRT. He is quite a character, getting into lots of mischief and playing nonstop! 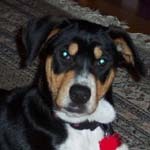 Truffles was recently adopted, but has been returned to us due to allergies in her adopting family. We'll have more information about her up here soon! 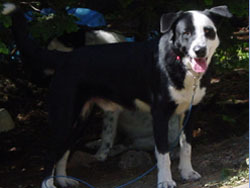 Mike is a 9 month old collie mix male. Gorgeous big puppy. Well behaved and very nice. He was fostered with horses, dogs, cats, chickens, and toddlers. 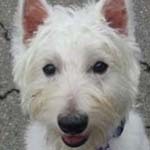 Pip is an ADORABLE 1 yr old pure-bred Westie. He was an owner turn in who was basically not wanted nor given the time and attention he deserved. He is a typical energetic & playful westie terrier! He loves people. 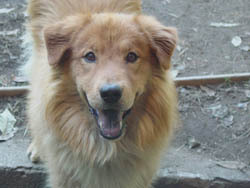 He is currently in foster, and loves the attention and caring he's never/rarely received before. 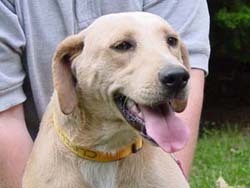 Tess is a small female lab mix. She was fostered with horses, dogs, cats, chickens, and toddlers. Tess is 1.5 years old and came to us from KY where her owner left her out on a run all the time and she learned to pull the side off so she could come and sit on the porch. She plays well with other dogs, ignores cats and LOVES children. 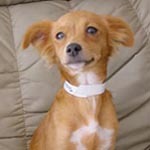 Trixie is a small female Papillon mix who is just a darling. She's about a year old, not yet housetrained, but if you get her outside often she's learning. She is a little lap dog who is content to sit on a big easy chair either on your lap or beside you. 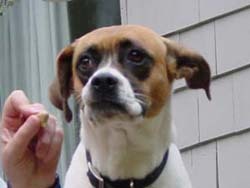 Minnie is an adorable chi/terrier mix, possibly with Jack Russell or Feist. She came from a high volume shelter and is receiving loving TLC by a Save A Dog foster volunteer. She has flea and fly bite wounds. She's a sweet dog who just loves to be held. She would have to have a stay at home or work from home owner and no small kids as she's very tiny. She is very crate trained and will let you know when she has to go. She is bright and alert and is going to make the right person very happy. 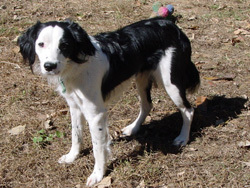 Lovey is an sweet young border collie. 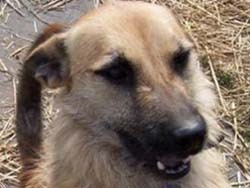 She is friendly to people and submissive with other dogs and can play with both large and small dogs. She walks beautifully on a leash, is very gentle. Her only vice is that she jumps fences if she sees people on the other side as she wants to go say hi. 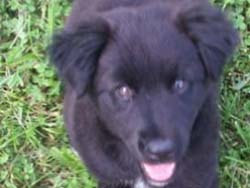 Molly is a 10 month old retriever/collie mix who is very playful with other dogs. She has a lot of energy, but she also knows how to "sit" and is very friendly to people. She will need a fenced in yard to run in. 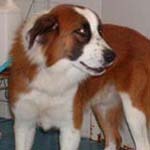 BJ is a one year old St. Bernard mix who looks like a miniature Saint Bernard without the drool. He's a nice dog, good with older kids, recently neutered. He's just a gorgeous dog looking for a home. He got turned in with his two brothers, Spud and Ringo, to a high volume shelter down south. 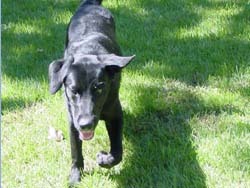 Boots is a medium sized black lab mix under a year old. She is friendly and easy to get along with. She begs to be around people and would be a good companion. She is faithful and likes to follow you around. 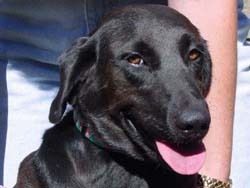 Beth is a one year old female lab who is friendly with dogs and people. She loves to play, but is also crate trained. Zimba is a happy, go lucky fellow. He is the dog that will sit on the porch all day just watching the world go by with you or waiting for you to get home. Can you beleive that sweet face was turning into the shelter because he dug in the yard? I could turn my husband in for the same thing. By the way, I haven't seen Zimba dig a thing. He does lay around really well. Do you need a new best friend that will always be there for you? Than Zimba is your guy!! he is approx. 1 yr old. He was fostered with horses, dogs, cats, chickens, and toddlers. You can meet at our Meet 'n Greet at Petco, Route 9, Natick on Saturday, October 9th. He is a very sweet black lab puppy. He loves to play and run around with the other pups, and also loves to play with the 3 kids (ages 7, 10 and 12) in his foster home. He’s working on his house training and does okay as long as your watching for the "I need to go outside" cues. He doesn’t seem to mind the crate too much and settles right down when it’s time to go to bed. Gary is a 25 lb. 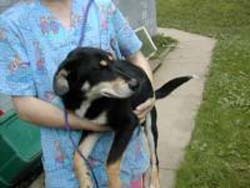 sweet male WV mix who has lots of different breeds in him. Our vet says some dachshund, a touch of shepherd, some lab or hound, you name it. Whatever he is, it's watered down as he is what you call a mutt. 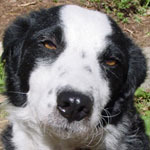 His personality is wonderful, playful with other dogs, all tail waggy with people. He just got neutered and is ready to go. 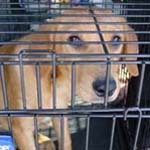 He is very much crate trained as he spent weeks in the puppy room at a high volume shelter. Please give him a forever home! 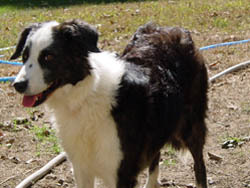 Spud came to us from a GA shelter where he was stuck because everyone down there wants a purebred. Poor Spud got a bum rap as he's a gentle giant, good with dogs, kids, men, women. He is submissive and very sweet. Very crate trained as well. Not a high energy dog. We heard he was good with cats too. He's about a year or so. Spud has been evaluated and accepted into the NEADS service dog program. He will be trained to be a service dog for handicapped and hearing impaired adopters..
Bungee is around 8 months old and wieghs about 55 pounds. 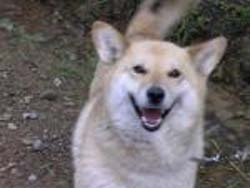 He is pale yellow with a few white markings on his feet. He gets along with dogs and cats and is crate-trained. He does not escape fences. Is a good boy with medium lab energy. Not off the wall, but needs exercise. Bungee has been evaluated and accepted into the NEADS service dog program. He will be trained to be a service dog for handicapped and hearing impaired adopters..
Turner is a black lab retriever mix who seems to be about a year old. He plays well with other dogs and is a generally a happy boy. He's tall, not the stocky type. He has a good nature, would probably be fine with large kids as he sometimes jumps up. He would be a great friend for another dog too or as a doggy daycare dog as he plays well with everyone. Doodlebug is a 2 year old female Boxer mix who came up from a GA shelter where she sat because everyone wants a purebred dog. She is sweet and friendly. She's not hyper at all, doesn't jump up or show bad manners. She's in a foster home with other dogs. Violet is about 4 to 5 months old. She is very sweet and is doing really well with the other puppies. She seems to be a shepherd/beagle mix. She has the beagle ears and bark. She doesn't bark a lot but can be vocal at times when she needs something, kind of like she is trying to talk to you. She would do well in a home with children and other dogs. She has not been tested with cats yet. She would make an excellent family dog. 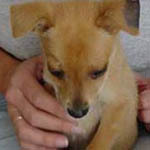 Larry is a small male lhasa mix. He has been fostered with kids, dogs, horses, and chickens and seems to go with the flow. 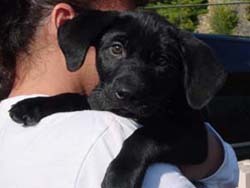 This adorable Black lab puppy is looking for a home with lots of love and patience to train...puppies should have obedience training. More information on Bethany SOON! Venus is a pretty border collie. She is also very smart and agile. She can climb fences but she is great in a crate and walking on a leash. She is fine with large, adult cats, but too rough with kittens. 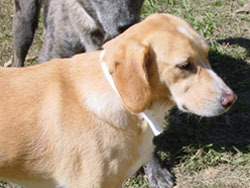 She has been fostered on a farm with horses, chickens, dogs, and cats. She knows her way around horses and loves to go trail riding. She will just follow along off-leash. She would be perfect for a horse person, but is also gentle with toddlers as she was fostered with a one year old. 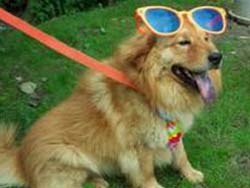 You can meet Venus at our Meet 'n Greet at Petco, Route 9, Natick on Saturday, October 9th. 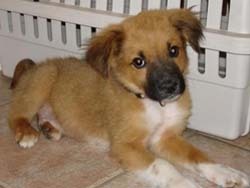 This adorable shepherd mix puppy is John. He’s a favorite at his foster home! He loves to cuddle and be held and snuggles right up to your neck. He just wants to be loved. He also likes to play and run around with the other pups and the kids, but greatly prefers the company of people to the other pups. I think he might be happiest as an only dog as he’s not real big on sharing. He’s a great pup and will make a devoted companion. Boo is a 1 year old male terrier mix. 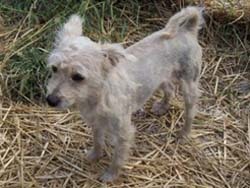 He had a bad haircut when he came to the shelter and hopefully that can be corrected soon!! He is friendly and active. This dog will not be arriving until after 10/8/04, so please hold your applications. 3 of the 4 beagle puppies have been adopted. Their mother was a small beagle and their dad 1/2 beagle and 1/2 jack russell terrier, so they are 3/4 beagle and 1/4 JRT. PLEASE NOTE: If you are interested in adopting, please make out an application and we will arrange individual showings. Skip- 1 year old terrier mix male. He looks like a terrier/shep/corgi mix . He is Cute- whatever he is and full of personality! He was fostered with horses, dogs, cats, chickens, and toddlers. 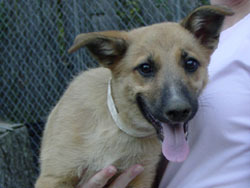 Snip is a 3 month old Shepherd mix puppy who is full of fun and playfulness. He is one of those dogs somebody's going to call Shadow as he follows me around like a shadow. He loves being with people anyday and is happy to be a lap dog even though he's going to be big..
Hope is approx. 5 years old and weighs about 45 lbs. She has a beautiful soft coat and is very friendly. Walks well on a lead. We believe she is already spayed. She came in with her lifelong companion Hudson. 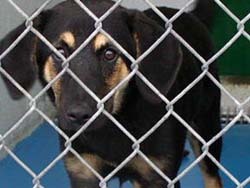 Hudson was adopted but was too depressed without Hope so they brought him back to the pound since they couldn't take both dogs. Hope and Hudson would love to find a home where they can be happy together the rest of their lives! 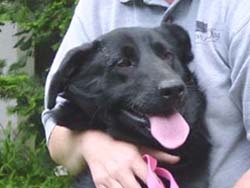 She and Hudson need a home that is on the quiet side, no children please, as they do not do well in a high energy household. Hudson is approx. 5 years old and just sweet as can be. He is a bundle of energy and his big tail is like a flying plume. He came to the pound with his life long buddy Hope. He was adopted and was very depressed without Hope and the family could not adopt both. So he and Hope are now with Save A Dog. They need a home where they can be happy together. Hudson is about 48 lbs....He looks bigger, but it's mostly FUR! He walks great on a lead. 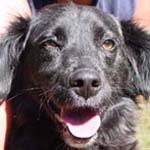 SASHA is a sweet spaniel mix who is so affectionate and loving. She is small, about 23 lbs. She plays nice with other dogs and ignores cats. When she is happy her whole body is wiggling with excitement, it is a joy to see. Do you need a devoted friend in your life? She was fostered with a toddler and farm animals as well. Sasha was accidentally marked adoption in progress. She is available for adoption. Ringo is a one year old St. Bernard mix, but he's not nearly as large. He's about 60 lbs. and is full grown. He is a gentle dog, good with dogs, kids, men, women. He is submissive and very sweet. Very crate trained as well. Not a high energy dog. We heard he was good with cats too and we believe he'll be a fine addition to any family. He was very gentle with the puppy in the foster home. He's about a year or so. He came in with his brother, Spud.